PremiAir Aviation International, under new ownership since December last year, confirmed today at HeliTech International (Stand G30) that it has rebranded its Blackbushe Airport facility in Surrey as The West London Heliport and will offer Land, Park and Go services for visiting helicopter arrivals headed for the South East of England. With only one recognized heliport serving the capital, PremiAir is advocating a cost efficient alternative for the SE region, being the closest to both Heathrow and Gatwick Airports where the cost of landings and tight slot restrictions is increasingly prohibitive. At The West London Heliport where PremiAir offers 50,000 ft of hangarage, stand parking for several larger and smaller aircraft and conforming to all ICAO Annex 14 dimensions, helicopter owners and operators can have their aircraft refuelled, washed, line maintenance provided (in line with PremiAir’s engineering type expertise) and hangared – as arriving passengers head off to their final destination – by waiting chauffeur or private car. Landing fees will be at least a third of the price, and include onward chauffeur travel, of its closest business aviation neighbour airport. At The West London Heliport there are no restrictions on movements and opening hours are 07:00 hours to 22:00 hours, seven days a week. PremiAir is now finalizing the design of its fixed based operation (FBO) with London-based brand agency Strategic Fusion which has been involved in several business aviation design projects, most notably London Oxford Airport’s Oxfordjet. Work involves expanding the existing PremiAir reception area into a comfortable crew room and separate passenger visitor lounge and business centre with wifi, computer and a dedicated and conforming kitchen, capable of meeting inflight catering requirements. PremiAir has also reached agreement with leading chauffeur car company First Class Cars as its preferred ground transportation partner, with its sleek black S Class Mercedes and Caviar House as a partner providing fine food in the VIP and customer lounge. Coupled with this PremiAir intends to have its own small fleet of executive helicopters residing at Blackbushe and available for third party charter to complement visiting helicopters and smaller jet types such as the Cessna Mustang which regularly operates in and out of the airport. PremiAir has its own AOC, new EASA Part 145 authorisation, enabling line and base maintenance for helicopter types including Bell, Sikorsky and Eurocopter to be undertaken. It has Part M approval and also received EASA Part 21J approval for design and modification work on all aircraft. Part 21G accreditation should follow soon. Complementing PremiAir’s activities with The West London Heliport, helicopter maintenance, design and charter is sister company PremiAir Aerospace, newly renamed from PALS (PremiAir Aviation Learning Systems). 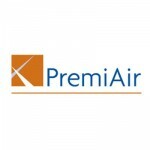 PremiAir Aerospace is a world leading E-learning training organisation for airline pilots – with bases in London (Gatwick), Dubai, Houston, New York, Seattle and Singapore. It looks after the largest and most comprehensive library of aviation computer-based training and vocational content delivered by a team of airline operations professionals. In the near future PremiAir Aerospace is positioning to be engaged in a major project involving the training and development of UAVs (Unmanned Airborne Vehicles). At HeliTech International PremiAir also goes live with its new website www.premiairaviation.com.